Finishing a long day and knowing you have your home waiting for you is rewarding. Nothing more comforting for a homeowner than having a roof over his head. However, over the years you realize that you’ll soon have to replace your roof with a new one. That’s when the anxiety starts kicking in because replacing a roof could cost around $ 34,500 and yes, we know it’s big money. But there’s no need to worry. By keeping your roof up to date with the following roof care tips, you’ll lengthen your roof’s life significantly so you’ll have enough years to plan its replacement. Getting a roof to last for decades is quite simple. All it takes is proper maintenance. At Bay 101 Roofing, we’ve compiled an accessible guide to help you get the most of your roof and keep it in great shape. By following these roof care tips and with a little extra effort your roof will last for many years to come. The best way to keep your home’s roof in tip-top shape is by developing a regular maintenance routine. The good news is, you don’t need to keep watching over your roof weekly. Roof care should take place at least every six months. What is the best moment to do it? Ideally, before the fall and spring seasons begin. That way you prepare your roof for winter storms and heavy summer rains. Sweep the roof’s surface and take off any debris. Clear any buildup out the gutters and downspouts. Wash the areas where there are signs of moss growing. Look for any signs of water damage or penetration. Have you ever heard the saying: “An ounce of prevention is worth a pound of cure”? Well, these words are doubly true when it comes to roofing maintenance. Invest some money in preventative roofing care. That will help you postpone the replacement of the entire structure a little more. Tackle the attic: Make sure that your attic has proper insulation. That will help keep your home’s interior temperature more stable as well as prevent water vapor from accumulating underside the roof. That way you’ll save on heating/cooling costs. Want extra protection? Add a layer of vapor retarder underneath the insulation. Work on ventilation: Proper ventilation prevents water vapor buildup. It also keeps moisture from damaging the roof’s sheathing. Make sure your attic’s vents are entirely free of debris. You could also install screens to prevent animals from nesting inside if necessary. Are your vents a bit small? Buy a ventilation fan and guarantee dryness. Cut away any overhanging tree limbs: There’s no need to worry about a branch coming down in the middle of the night? Remove all the neighboring branches that could break with a strong gust of wind over your roof. Sometimes the simplest thing is the least obvious. Well, this is one of the easiest roof care tips, and it costs no money at all. What do you have to do? Just take a look at your ceilings and roof. That way you’ll detect problems early and start doing small fixes rather than working on massive renovations. 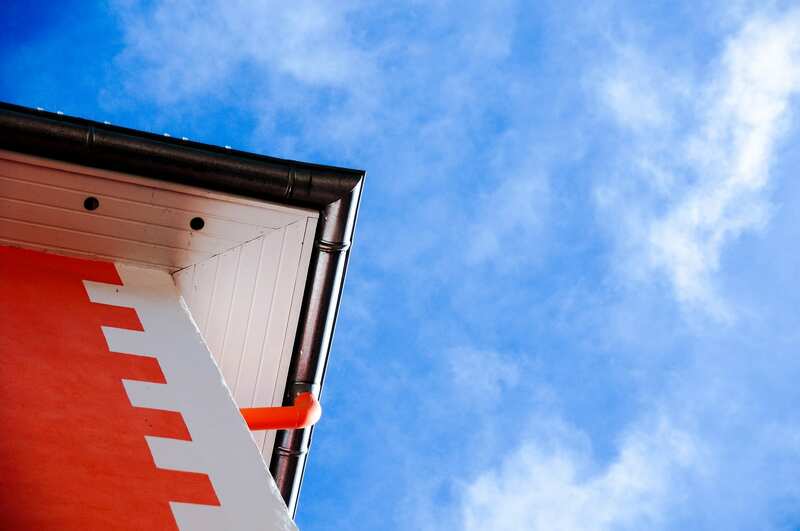 By looking at your roof regularly, you’ll appreciate if there’s something different with it and act beforehand. Any appearance of sagging or leaning. Damage and loose material around openings. Wet spots on the ceiling. Train yourself to pay attention to your roof. It is effortless. Just make an effort to glance at your roof every day. You can do it every morning once you get up or when getting home from work. After a few days, you’ll do it automatically without even thinking about it. At Bay 101 Roofing, we love DIY projects. However, when talking about your roof, we firmly recommend hiring a professional. The roof is one of those areas where you shouldn’t risk to explore your reparation skills. If you’re unsure of how to proceed once you’re up there, you could end up doing more harm than good. Besides, you could get exposed to danger. If you don’t already have a professional roofer in mind, here are 10 easy tips to choosing roofing contractors in San Jose. Replacing the roof is something every homeowner must face at least once in life. At Bay 101 Roofing we understand you don’t want to deal with these types of home repairs. However, you could buy yourself more time by being cautious and staying in tune with your roof performance. All you need to do is take care of the roof you already have. Are you thinking of getting roofing maintenance? Contact a professional roofing agency and ask for a preventive maintenance program. While you pevent roofing damage by following the roof care tips just mentioned, a pro will help you detect any issues before it becomes an expensive repair. Our Bay 101 Roofing professional team is ready to help you. ASK FOR A FREE ROOF INSPECTION!